Dr. Zhang is our President, CEO, and a member of our board of directors. He has held these positions since January of 2007. 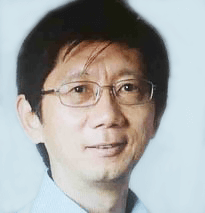 Dr. Zhang graduated from Tsinghua University with a Ph.D. in opto-electronics. 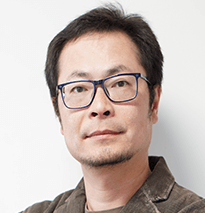 He has over 15 years of experience in opto-electronics and the semiconductor industry. From 2006 to 2008, he held the position of senior manager at Motorola, a leading telecommunication equipment provider. From 2004 to 2006, he held the position of Director at ZTE San Diego, also a leading telecommunication equipment provider. Dr. Zhang has a strong reputation as an executive in the opto-electronics/semiconductor industry, including the solar energy field. Dr. Zhang has quality leadership experience in business operations, especially in product and program development, product development procedures, and milestone setting and enforcement, and R&D team building. Ms. Chung is our Chief Financial Officer, Secretary, and Treasurer. She has held these positions since August of 2008. 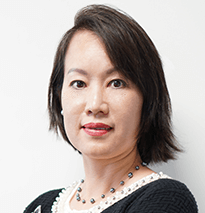 Ms. Chung co-founded Chung & Chung Accountancy Corporation, CPAs (CCAC) in 2004 and is licensed as a Certified Public Accountant in California. Ms. Chung graduated from Texas A&M University (College Station) with a Master’s degree in Finance and a Bachelor’s degree in Accounting. 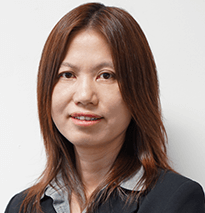 Ms. Chung has over 15 years of public accounting experience in providing auditing, accounting, business consulting and tax services to a wide range of industries. She has extensive experience in performing reviews and audits for various organizations, including publicly reporting companies. In addition, Ms. Chung helped the former founder of Dietrich Coffee to prepare a ten-year business and financial plan to establish a new series of coffee stores. Ms. Chung also conducted various incurred costs audits for MGM Mirage, Los Angeles County Metropolitan Transportation Authority and Caltrans. On a daily basis, Ms. Chung is responsible for the accounting operations and record keeping of Sunvalley Solar Inc.
Mr. Hsien is the Executive Vice President of Sunvalley Solar Inc. Mr. Hsien graduated from the University of California, Berkeley with Bachelor's in Architecture. He has worked in design and construction for over 15 years. With the architectural and design-build construction background, Mr. Hsien is able to run a very efficient design and construction team at Sunvalley Solar, providing turn-key solution and project management in the solar industry. Mr. Hsien has been in charge of the engineering and construction departments at Sunvalley Solar over the past 8 years. With his leadership, Sunvalley has built a brand around fast turnaround time and quality craftsmanship. Mr. Cercioglu currently serves as the Vice President of Sunvalley Solar Inc. He is a proven expert in the solar industry with experience working on some of the largest Commercial and Ag projects in California. His core skills include solar PV project development, project finance, Net Energy Metering Aggregation, system design, interconnection, utility policies and market strategies. Mehmet has been with Sunvalley Solar since 2010 when he was hired as Sales Engineer to manage the sales and marketing of commercial grid-tied solar power systems. Transitioning into the role of General Manager in 2016, Mehmet has led the company’s expansion in new markets and development of a number of new service offerings. Mehmet has more than 10 years of solar photovoltaic operations and business development experience. 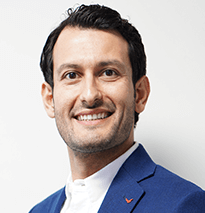 Mehmet holds a MS in Electrical Engineering from Kocaeli University and General Business Studies degree from University of California Los Angeles (UCLA). Mrs. Liao is our Director of Administration. She has served Sunvalley Solar, Inc. in this position since January of 2007. She graduated from Guangxi University in Art and Financial Management. Before moving to the United States, Shirley Liao worked in an international trading company (Audio & Video Company of Guangxi) as an executive management member. Her excellent market and sales experiences as well as connections to customers bring an exceptional value to the company.